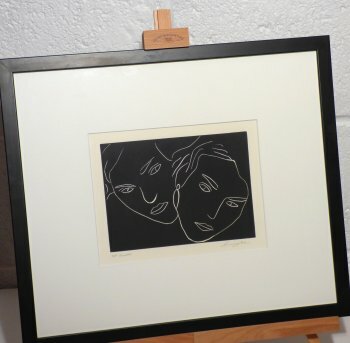 "Working in Collagraph, Etching and Linocut, I am inspired by nature and the human face; exploiting texture as much as possible. Exhibiting internationally, I enjoy the discipline of creating miniprints. A member of Buckinghamshire Art Society and Leicester Print Workshop I helped set up Buckingham Art for All (Bafa) in 2008. 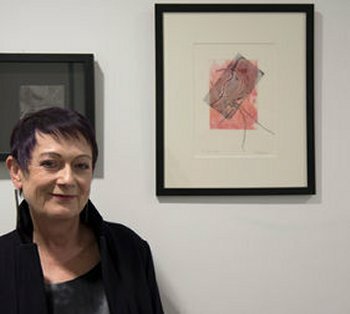 I co-coordinate the Bafa Art Trail and Printmakers Network; both of which I initiated to support artists in developing their skills. 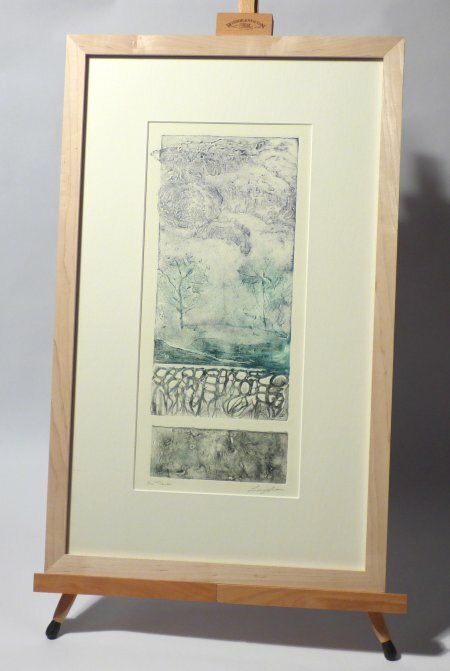 Collagraphs are made by sticking down a collage of materials; usually on card or board. Once varnished the 'plate' can be inked up and printed. I tend to use this technique for my nature inspired work. I often use string and stocking-net because very delicate results can be achieved." 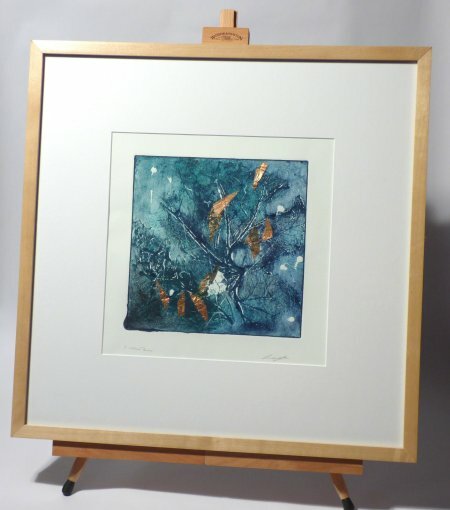 As well as the pieces shown here, we have many mounted, unframed print-art pieces in our browsers. The presentation and framing quality of Lindsey's work is high too!